Nakamura, O., 1986. 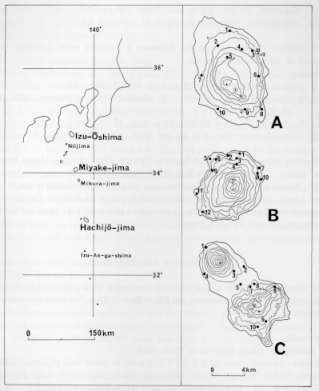 Study on Protura (Insecta) of the Izu Islands. I The faunal make-up. Bulletin of the Saitama Museum of Natural History, (4): 1-13. 中村修美，1990. 伊豆諸島のカマアシムシ類　II. 群集構造,　埼玉県立自然史博物館研究報告,　(8): 11-15.